Cherokee County GA homes for sale 400K – 500K. 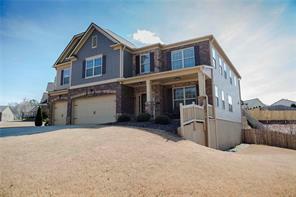 Find single family and luxury homes for sale in Cherokee County GA in the $400K to $500K price range. 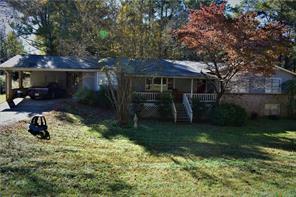 You can buy a lot of home for the money in Cherokee County GA. These are newer and luxury homes most of which will have gourmet kitchens, finished daylight terrace level basements, and three car garages. Search the Cherokee FMLS and GAMLS listings to find Cherokee County homes for sale, foreclosures, short sales, pre-foreclosures, REOS, bank owned homes, new homes and resale homes, condos, and townhomes for sale at a reasonable price. View homes in the 400K to 500K price range and find local property information, schools, view photos, virtual tours, and make appointments to view these fine Cherokee GA properties and real estate. Remember, “Buying or selling call Jim & Ellen!” We serve home buyers and sellers in North Atlanta since 1993! We are an Atlanta husband and wife real estate team! 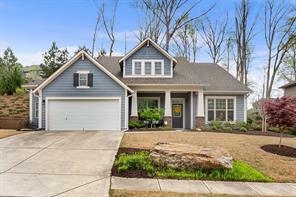 3) 124 Carney Dr, Ball Ground, GA 30107-7513, Cherokee Co.
4) 124 Carney Drive, Ball Ground, GA 30107, Cherokee Co.
5) 216 Arnold Mill Road, Woodstock, GA 30188, Cherokee Co.
6) 216 Arnold Mill, Woodstock, GA 30188, Cherokee Co.
7) 338 Liberty Dr, Acworth, GA 30102-3717, Cherokee Co.
8) 338 Liberty Drive, Acworth, GA 30102, Cherokee Co.
9) 4017 Sunhill Ct, Woodstock, GA 30189-2560, Cherokee Co.
10) 4017 Sunhill Court, Woodstock, GA 30189, Cherokee Co.